Ganesh Chaturthi celebrates the birthday of India’s most loved God, Ganesha. With his disarming looks and infectious charm, he is everyone’s favourite and for all the right reasons. The festivities are usually held in August or September every year and s spread over 10 days. Bengaluru has several pandals during this time but BengaluruGaneshUtsava is like no other. In its 54th year, the festivities have taken a huge leap this year with a change of location and scale. Typically held in the APS College grounds, this year the venue is the massive National College grounds. However what makes the event special this year is the massive structure that houses the Ganesha. The festival organised by the Shree Vidyaranya Yuvaka Sangha and the highlight is that the main mantapa is a replica of a temple pond at Melkote in Mandya district. The idol is in the midst of a water body and lotus flowers have been floated all around that adds a charm to the setting. All around are Shiva linga modules from around the country. This is where spirituality meets fun in a way and the entire experience makes for a wonderful way to spend an evening. The festivities includes loads of food and music as well. This year will see performances by Shaan, Bappi Lahari, Ranjit Barot, Basuri Band by Raj Chandran and violin duet by Boston Brothers – Tejas and Pranav Manjunath. 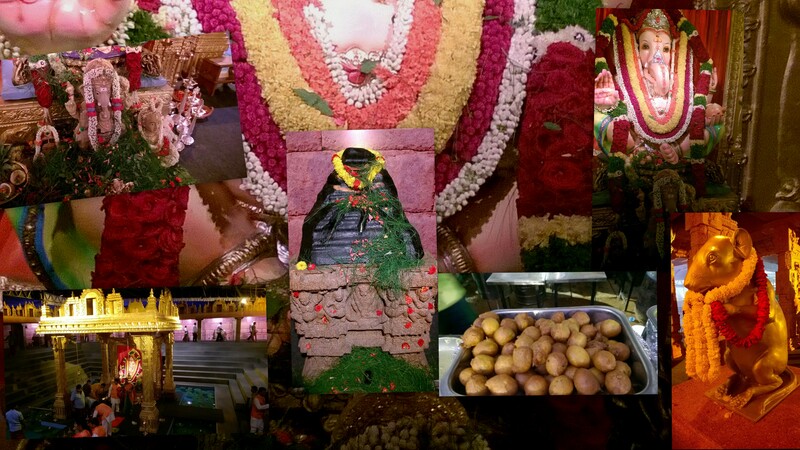 Food lovers must visit the unique ‘Aromas of Karnataka – Food Utsava’ for some local delicacies. Sample interesting food like the Davangere Benne Dosa, Girimitt, Mandakki Ograne, Paddu, Kaddubu, Halbai, Jolada Roti Yanagai Soopu Kalina Pallya, Senga Podi, Davangere Chilli Bhajji, Yel Unnde, Rava Unnde, Gokak Kara Dantu and Bele Holge among others. There are a bunch of stalls that also retail food based products and also clothes. I would recommend that you pick a souvenir t-shirt of key chain as a keepsake. Log on to www.bgu.co.in for more information. 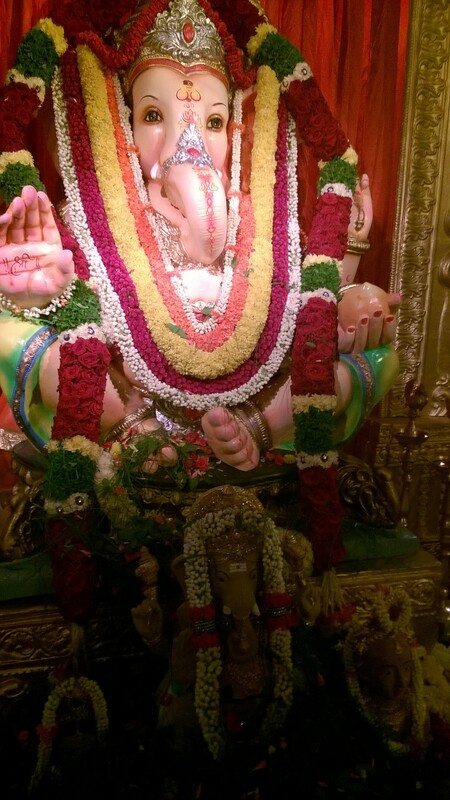 Read my post on Bangalore’s Ganeshas also for more information.